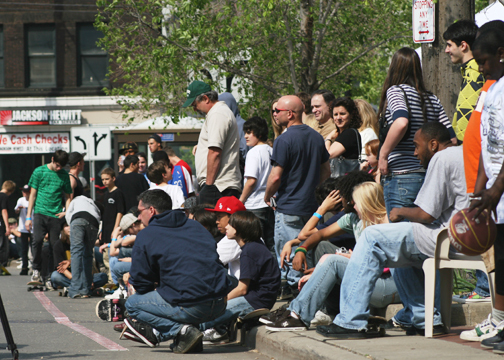 The Slavic Village neighborhood of Cleveland was the perfect location for the first East Meets West event - bringing skaters from the west, east and south together for some good skateboarding. 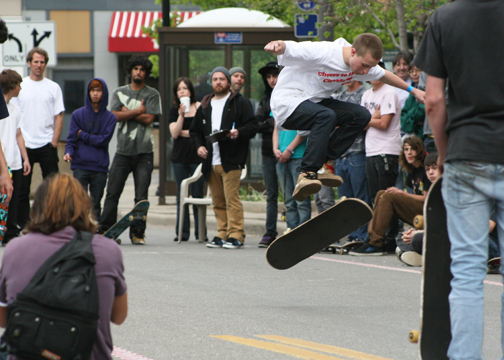 Slavic Village Skateboarding and Public Square Group hosted the éS Game of SKATE to the tune of about 150 people and 85 competitors. In the end, Chris McHugh of Willoughby, OH took the top spot, beating out Steve Lenarduzzi of Highland Heights, OH in the final round. 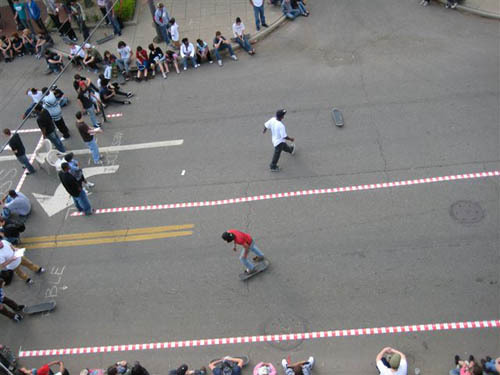 A blocked off section of East 55th Street was the perfect home for the six SKATE lanes required to get through the mass of skaters signed up to compete and the rain held off until after we opened the street back up! Sorry for all those who stayed home!